In the matter of the appointment of Matthew Whitaker as Acting Attorney General, my co-bloggers are divided: Andrew Hyman argues here that the appointment is constitutional under the Constitution's original meaning, while Mike Rappaport argues here (relying on his earlier law review article) that it is not, because Mr. Whitaker does not hold a Senate-confirmed office. Also, yesterday the Department of Justice released a legal opinion (per Assistant Attorney General Steven Engel) in support of the constitutionality of the appointment, although (as I'll discuss below) its analysis of the original meaning is very thin. I mentioned some initial concerns about the appointment last week, and on further reflection I side with those who find that the Constitution's original meaning does not allow the appointment. But Andrew Hyman raises some important arguments that need a response. The basic textual argument against the appointment's constitutionality is simple. The appointments clause, Article II, Section 2, states that the President "shall nominate, and by and with the Advice and Consent of the Senate, shall appoint Ambassadors, other Public Ministers and Consuls, Judges of the supreme Court, and all other Officers of the United States, whose Appointments are not otherwise herein provided for." This provision is subject to two textual exceptions: (1) Congress may "vest the Appointment of such Inferior Officers, as they think proper" in the President alone, the courts of law, or the heads of departments, and (2) the President may make appointments to vacancies that happen during the recess of the Senate. The most plausible reading (indeed, I would say the only plausible reading) of this text and structure is that it establishes a general rule of Senate advice and consent for appointments subject to only two exceptions, for recess appointments and for inferior officers. Since the Whitaker appointment is not a recess appointment, it is constitutional only if (a) he is an inferior officer or (b) the "appointment" is not really an appointment. As to (b), that argument might work for persons who hold another federal office and merely have their duties expanded temporarily. But that is not the case for Mr. Whitaker, who does not concurrently hold another office. As to (a), the core definition of an inferior officer would seem obviously to be someone subject to a superior other than the President. Whitaker does not meet that definition. Again, it's possible that a person already holding a inferior office could be delegated temporarily the duties of a superior office and yet remain an "inferior Officer" so long as that person still had a "superior" -- but that is not Whitaker's situation. The Department of Justice opinion argues that an acting officer might be an inferior officer because of the short duration of the appointment. But I agree with Mike Rappaport: "It is not the length of time, but the duties that are performed that are relevant." Specifically, it is whether the duties are performed with supervision by someone other than the President. The text does not suggest anything about duration (and in any event, an acting appointment could last fairly long). I'm not aware of any pre-ratification discussion or other evidence that would undermine this view. There is some contrary post-ratification evidence but I find it insufficient given the clarity of the text. 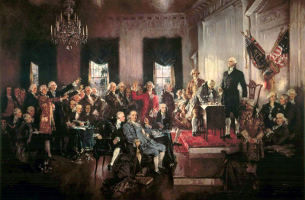 First, Congress by statute in 1792 gave the President power to make acting appointments without limitation. The Whitaker appointment would have been legal under that statute. But it does not appear that this statute produced any reflection or debate, and no one explained how it could be constitutional as applied to superior officers who lack Senate confirmation (plainly it is constitutional as applied to inferior officers and [as discussed below] superior officers with prior Senate confirmation). Second, under that statute and its successors, Presidents made some acting appointments that appear not to comply with the Constitution's text. According to the Engel opinion, the first of these appointments was by President Jefferson in 1809, designating John Smith to serve as Acting Secretary of War. (In a prior post, I suggested that the first such appointment might have been in 1829, but I mistakenly assumed that the office of Chief Clerk of the War Department, which Smith held, was a Senate-confirmed position; it was not). 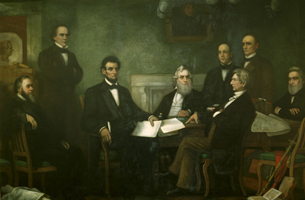 However, it does not appear that the practice of appointing non-confirmed persons to superior offices became at all common until the Jackson administration in 1829. Again, the single unexplained appointment in the Jefferson administration does not seem sufficient to overcome the clear text; the practice in the Jackson administration is not good evidence of original meaning, both because it is remote from the drafting and ratification of the Constitution and because President Jackson was not overly cautious about expanding executive powers. The Department of Justice opinion does not claim that the historical practice indicates an original meaning in support of the appointment; rather, it principally relies on subsequent historical practice as creating the meaning in itself. It says only that calling someone with an acting appointment an inferior officer is a possible reading of the text. (It also relies on the 1898 Supreme Court case United States v. Eaton, but Eaton also does not have much originalist analysis). Andrew Hyman makes three main arguments, not reflected in the Department of Justice opinion, in support of the Whitaker appointment: (1) that it is supported by early practice, specifically John Jay's service as acting Secretary of Foreign Affairs; (2) that it is constitutional under the take care clause; and (3) that its constitutionality is implied by the recess appointments clause. As to the first, he points out that John Jay served as acting Secretary of Foreign Affairs under Washington prior to the appointment of the first Secretary of State. There is some weight to this, but on the other hand it occurred during a time of transition and in the face of practical necessity. Foreign affairs needed continuing management and there were no other federal officers at the time; Jay was not so much appointed as carried over from the Articles of Confederation, under which he held the office. Jay himself said he was acting "not officially." On the second point, he argues that the President's duty to take care that the laws are faithfully executed implies power in the President to take necessary actions to assure faithful execution, including making short-term acting appointments. He also points to the language in the appointments clause limiting the Senate role to approving officers "whose Appointments are not otherwise herein provided for" and argues that acting appointments are provided for (implicitly) in the take care clause. I think any such power would come from the executive vesting clause of Article II, Section 1, not the take care clause, which is only a duty to take care to the extent of the powers elsewhere provided. But that's a quibble. The more important point is that the President's executive power is qualified by the Constitution's express assignments of executive power to other branches. Thus the President cannot declare war, even if war is needed to assure the laws are faithfully executed, because war power is expressly assigned elsewhere. Similarly, the President cannot make appointments (other than in accordance with the appointments clause) even if appointments are needed to assure the laws are faithfully executed. The "otherwise provided for" language does not help because, first, acting appointments are not "provided for" in the take care clause, and second the "otherwise provided for" language is more naturally read to refer to the inferiors officers clause and the recess appointments clause, which immediately follow and which provide for appointments without Senate consent. The third point is the most interesting. It is true that the recess appointments clause allows the President alone to appoint any person, without limitation, as a superior officer without Senate approval. Thus if if the Attorney General vacancy had "happen[ed] during the recess of the Senate" the Whitaker appointment would be obviously constitutional. This substantially undercuts the argument of people such as George Conway and Neal Katyal that the Whitaker appointment somehow betrays fundamental constitutional principles. In fact, the appointment is only constitutionally problematic because it happened not to be a recess appointment. Yet, Andrew Hyman reasonably asks, why would the Constitution draw such a sharp line between a recess appointment and a temporary appointment? Both serve the same purpose of allowing the executive branch to function at full strength until the Senate's consent can be obtained. My answer illustrates an important point about the Constitution: it's drafters were human, and thus fallible. I think it was likely a mistake. The drafters understood that when the Senate was in recess, there needed to be a way to fill vacancies. They thought that when the Senate was not in recess, filling vacancies would not be a problem, because if the vacancy created serious difficulties the Senate would act quickly. But they did not appreciate that vacancies or incapacities can arise suddenly, that the President may need time to identify and vet a suitable long-term candidate, and that the Senate may need time to deliberate. Vacancies that arise when the Senate is sitting may still be problematic. That doesn't mean the Constitution has to provide for them. The 1792 Act, and subsequent vacancy acts, are thus something of a work-around. They work to an extent, as Mike Rappaport explains. Congress can provide that the duties of a Senate-confirmed officer include assuming the duties of another office, on an acting basis, if the President directs. The acting "appointment" is not really an appointment, but a reallocation of duties. The person is acting as a superior officer in carrying out these duties, but that is constitutionally unobjectionable because that person has already been approved by the Senate. Although the framers may not have envisioned this work-around, the text does not prevent it. And placing the power over acting appointments with Congress allows Congress to limit them. The Constitution's text does, however, prevent the President from allocating "acting" duties of superior officers to persons who have not been approved by the Senate for any office. In assuming such duties, the person becomes a superior officer (that is, acts without supervision by anyone other than the President). And the text says that all superior officers, other than those appointed during a recess, must be approved by the Senate. UPDATE: John Yoo has a somewhat similar analysis, reaching a similar conclusion, at The Atlantic. (Thanks to Michael Perry for the pointer).